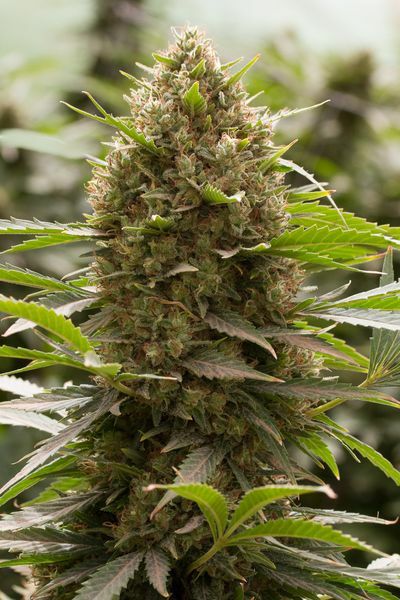 Suitable for growers of all levels, Amnesia Kush features a delicious and enduring citric flavour and aroma as well as a potent effect that goes far beyond any expectations. Its heavy-yield deserves a special mention as well. This cannabis seed evolves into a vibrant marijuana plant with medium distance between nodes and numerous branches that hold the weight of thick and bulky buds overflowing with resin. Thanks to the blend of these marvellous genetics we can now enjoy a tasty hybrid that offers not only strong sensations but also unbeatable organoleptic properties. However, it may turn out to be risky for those unaccustomed to coping with such powerful strains.